For Amy’s birthday weekend we had booked a cabin in the Paso Robles Wine Region. From San Francisco, it would have been a four hour drive so we knew we needed a Friday night pit stop for dinner half way there. A bit of web research illuminated the fact that there were very few viable options between Los Gatos at the south edge of Silicon Valley and our ultimate destination without heading into Santa Cruz or Monterey, which we wanted to avoid for traffic purposes. 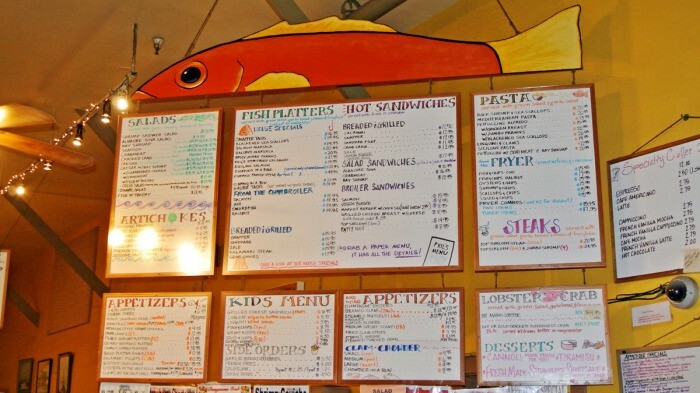 But there was one single place that did seem to be well regarded and worthy of a pit stop — a fish shack on the waterfront in the tiny town of Moss Landing called Phil’s Fish Market. 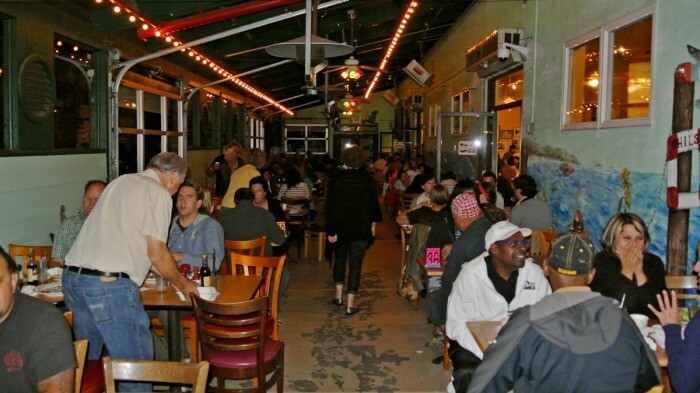 Phil’s is situated on a boat-lined jut of land occupied by little more than a few seaside shanties. But there were a ton of cars lined up there and every single one of them was there for one reason — Phil’s. It felt like this was the only place you’d find any people at in a 5-mile radius in this otherwise desolate waterfront town. It was truly silent out there save for the hushed sound of ocean waves and a random sea lion barking in the distance. But inside, it was bustling. This fast-casual spot is the kind of place where you walk up to a cashier and place your order then sit down at a table with a numbered sign to await the arrival of your food so that’s exactly what we did. Phil’s is apparently well-known for their Cioppino (a dish I have loved elsewhere in the past), but since it’s massively portioned for two and we both wanted to eat quickly before hitting the road again, we decided against it and instead went for some of the other seafood offerings. 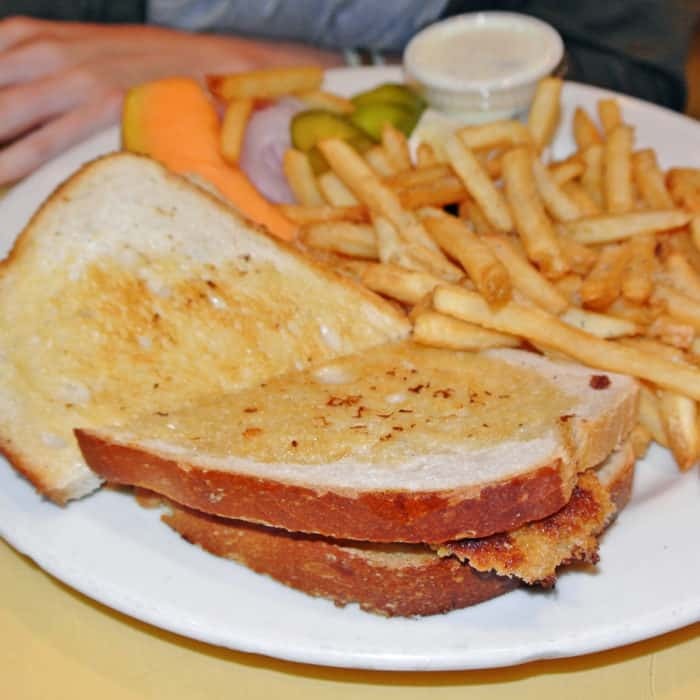 Amy chose a Breaded Snapper Sandwich along with a side of fries. 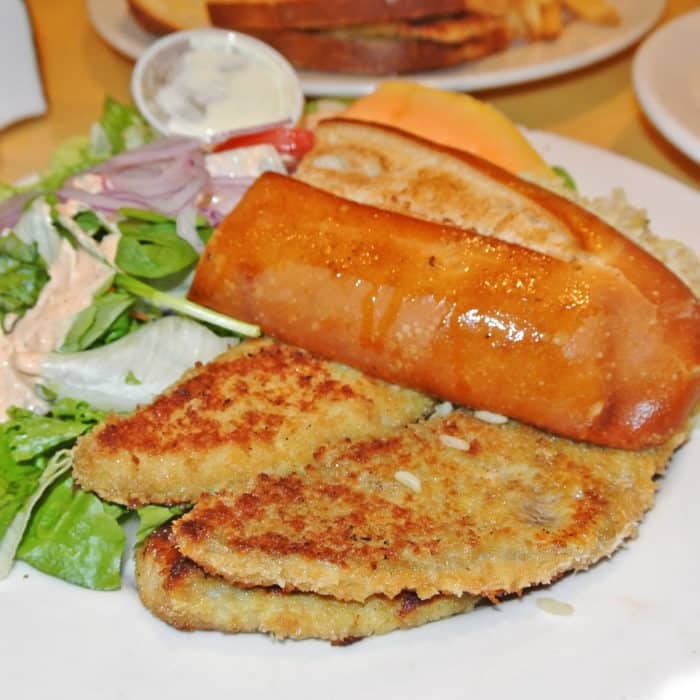 It was a very straight-forward fish sandwich that was minimally seasoned and definitely required generous use of the provided tartar sauce for flavor. The fries were equally as uninspired, also needing plenty of salt and pepper to wake them up. All in all, this was a pretty forgettable order. I instead got my meal in platter form and opted for the West Coast local flat fish known as Sanddabs. I wasn’t too familiar with this fish before, but it seemed pretty similar to flounder or really any other mostly white flaky fish. It also seemed like its most common preparation was to be battered and deep fried which was totally fine by me. We were at an oceanfront fish shack after all. And while the fish and fry job was done very well, I once again felt that it was strange that there was absolutely no seasoning applied to the fish as delivered. I ended up squeezing a ton of a lime juice onto each of the four filets and also slathered a generous amount of tartare sauce on each one to give them any flavor whatsoever. The platter’s portion was again huge and the fish was tasty, I just wish they actually seasoned them properly. 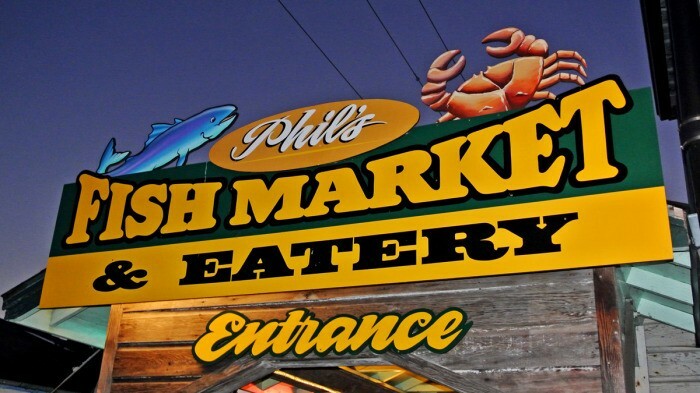 But if there’s any reason to go out of your way for a stop at Phil’s, the Clam Chowder is it. We got a pint of the stuff which came in a large ceramic white bowl, perfect for splitting between the two of us. This soup was truly outstanding. There were plenty of large, tender clam bits throughout the full, rich, warm, creamy, and soothing broth base. The whole thing had just the right amount of oceany flavor I look for in a good chowder. I added a few drop of Tabasco to the bowl to really open it up, but it didn’t even really need that. 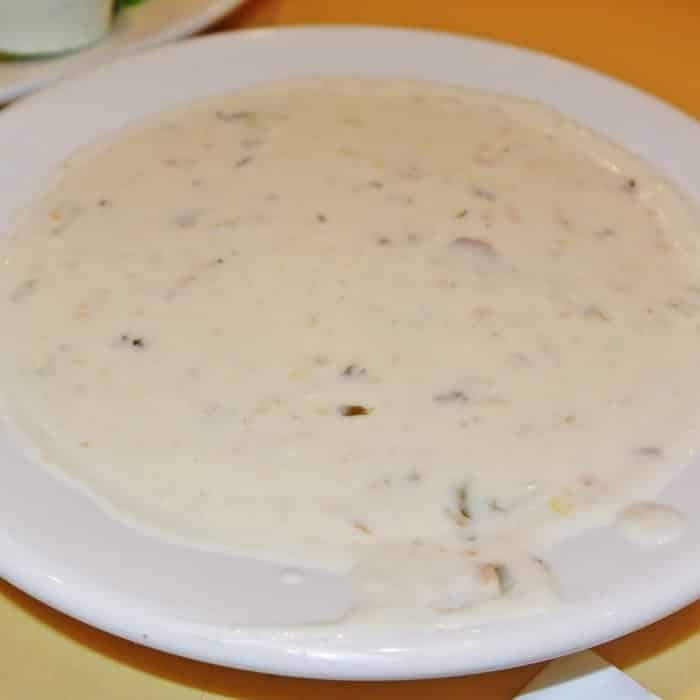 This was definitely one of the best clam chowders I’ve ever had and encourage a stop at Phil’s for this dish alone. 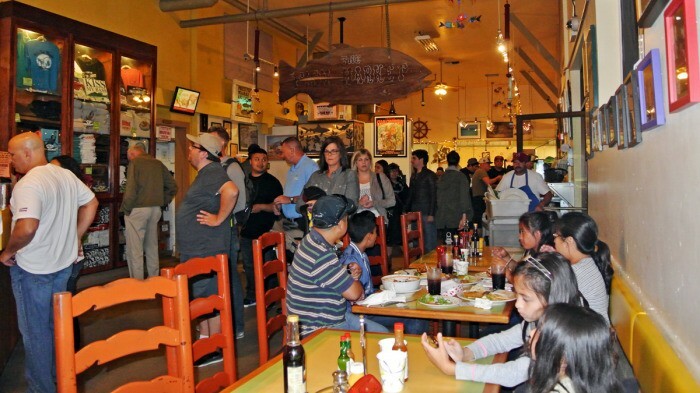 Though I wouldn’t necessarily say Phil’s is worth traveling too far out of your way to eat at, if you’re driving down from San Francisco to Paso Robles and need a fast, filling place to get a quick meal, Phil’s might just hit the spot. The fish was good and came out lightning fast, I just wish they seasoned the breaded fish better. Stick to the chowder or perhaps the cioppino and you’ll be in good shape. Got another place halfway between SF and Paso Robles I should stop at next time I make the trip? Let me know in the comments below. Next time get the cioppino! THAT alone is worth the drive. The most flavorful, chock-full version you’ll ever have. We have it regularly on the way between the City and Paso. Awesome, great. I’ll make a point to get it next time!